Repaving project to finish soon along Indian River Drive in Sebastian, Florida. 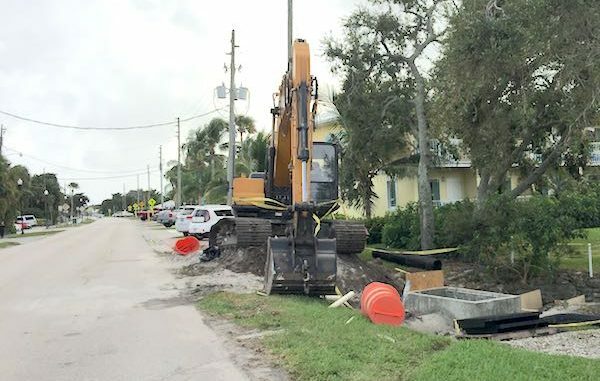 SEBASTIAN – You may have noticed the heavy machinery parked on the side of Indian River Drive at various locations this past week. Major Jim Hill told Sebastian Daily the project includes repaving the road and requires some piping along the roadway. 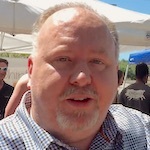 “We are trying to have most of the project complete before the Clambake so as not to disrupt the event. This is a repaving project with a drainage element that will help treat stormwater,” said Hill. The crosswalks and speed bumps along Indian River Drive have been removed. Last July, many residents were wondering why the city was tearing up all the paver crosswalks along Indian River Drive. “It’s part of the repaving project. Indian River Drive is being repaved, and the concrete crosswalks have to come out,” Major Hill said at the time. We’ll keep you updated on when repaving begins since parts of the road will be temporarily closed.